Picture driving down a highway at 100 km/h. You feel every turn and corner as though your body were one with the road. The turning, the maneuvering, the small details left on the road. The negligible difference in torque and aerodynamics, you feel every detail on your body. The details are important. The howl of the engine. The turn of the wheels. The body that pierces through the wind. Details. The BMW 135i Coupe is engineering excellence. The masterful combination of science and art leaves its mark on the road. You wonder how the integration of science and art can be found in the 135i Coupe. It is no mystery. BMW has proven over time that it takes care of the little details of your vehicle. The details matter and can change the way your car works with a misplaced part. The engine of the 135i is what sets it apart from the rest. The 3.0-liter turbo six is silky smooth and offers instant speed whenever the need or want arises. The high powered engine throttles you to speeds that you can only imagine. The control and steering help you balance the car as you zoom past an open highway. The N54 twin-turbocharged and 3.0-liter inline-six will drive you crazy. It’s cool and silky smooth with a deep growl as you step on the gas. The 135i’s sleek body combined with its high powered engine that can thrust you to light speed in an instant will rock your world! The base price (with destination) of a 135i Coupe is at $36,675 which is a catch for a sports car. The 135i Coupe has the following: a 3.0-liter, turbocharged I-6 engine, 6-speed manual transmission, dynamic stability and traction control, 4-wheel disc brakes, heated dual power mirrors/windshield washer jets, automatic climate control, cruise control, rain sensing wipers, tire pressure monitoring system, AM/FM stereo, CD/MP3 player audio system, auxiliary audio input, Xenon headlights with swivel, retractable headlight washers, and a M aerodynamic kit. 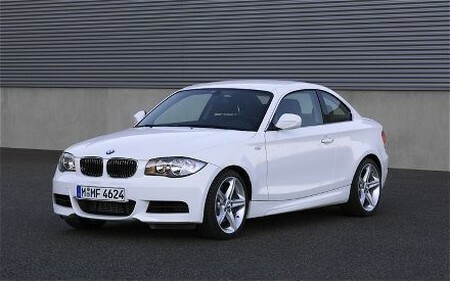 The BMW 135i Coupe offers a lot on the table as shown in the equipment and specifications. The engine is powered by a 3.0L twin-turbocharged inline 6-cylinder with a horsepower of 300 hp @ 5800 rpm. The torque is at 300 lb-ft @ 1400 rpm. The car runs on a rear wheel drive function that helps drivers have full control of their vehicle. The maneuvering and turning is made easier with a rear wheel drive. The small things matter. Life and death are in the details. Drive the BMW 135i Coupe.